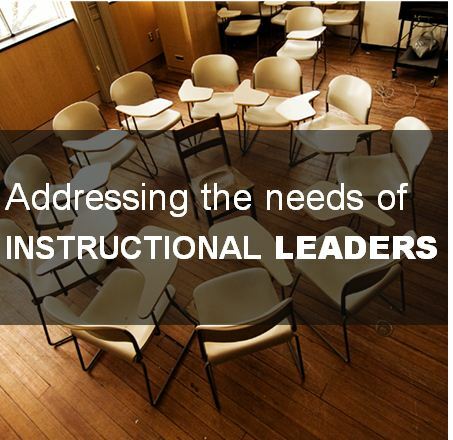 Department Chairs have one of the most important roles relating to College, School and University Instructional Programs. Department Chairs serves as a liaison between administration, faculty, students and at times the community at large. Department Chairs may be responsible for curriculum, strategic planning, budget matters, personnel management, and program reviews, yet their position is not one of undisputed authority. Conflict can arise from many stakeholders - making it difficult for the chair to lead, plan, and unite their department. Many Department Chairs are not prepared for their new role. Transitioning from faculty member to department chair can be challenging. The Department Chair Institute (DCI) was developed by educators to address the needs of department chairs and first-level administrators. ‘No Child Left Behind’ Celebrates its 10th Birthday. Good? Bad? Indifferent? Groups require skillful facilitation in order to make good things happen. Practice your skills so that you can lead productive meetings, facilitate good group decisions, and manage conflict. Become familiar with models for reviewing/renewing instructional programs; one that is in alignment with Student Learning Outcomes and evidence-based assessment. Learn how to use your limited time more wisely by learning how to put first things first, keeping your attention focused on your most important tasks, priorities and goals. Increase your ability to hire effective full and part-time faculty by focusing on their strengths and empowering them to excel. Use the strengths of your organization and department’s culture to lead positive change – inspiring faculty to make, rather than resist, change. A series of short conversations leading up to the U.S. election in 2012 meant to enliven generative dialogue with a positive intent. This past week, during a training, a request was made of us – please send a message out to encourage people to write to the White House, to politicians, as well as to others who are interested in constructive, positive dialogue about the future of the U.S! We don’t need to memorize things any more, but we still need teachers to guide our students toward learning the best ways to problem solve. The question is: How do you measure that? Participants at the World Appreciative Inquiry Conference (WAIC) will have the opportunity to learn about the largest known face-to-face Appreciative Inquiry summit held in a school district in Macon, Georgia. Called the Macon Miracle, the Bibb County School District used Appreciative Inquiry (AI) to bring together 4,300 people in creating its strategic plan. Dr. Romain Dallemand, superintendent of the district, championed the effort. He was hired in February, 2011, and wanted to design a new educational system with the community’s collaborative efforts. Earlier this week I came across an article written by Sol Stern, an author for The Daily Beast, titled, “Still ‘Lying to Children’: How No Child Left Behind Corrupted Education”. In the article, Stern discusses the “No Child Left Behind Act” (NCLB) – enacted 10 years ago this week. He states that, “Expecting all students to be college ready is a hopeless utopian goal that inevitably produces test-score inflation and bad results”.